This photo is associated with a letter of March 12, 1956, from Charles A. Stuart (Brown University) to Merrill W. Chase (Rockefeller). 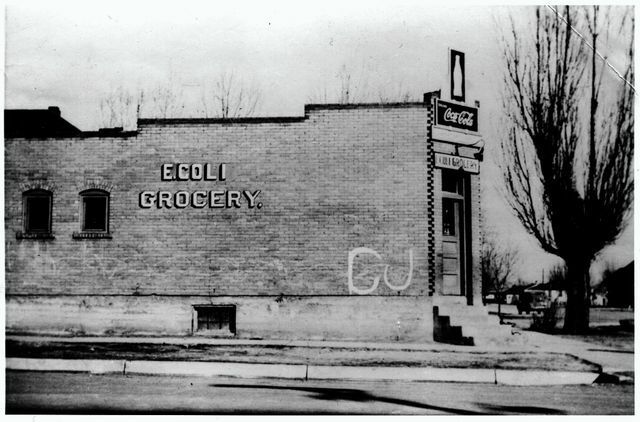 Stuart writes, "I am also sending you a photograph of a small grocery store at some Four Corners in the State of Utah. I think the name of the proprietor will intrigue you."